The F-LITE 235 is our go-to cross training and CrossFit shoe. 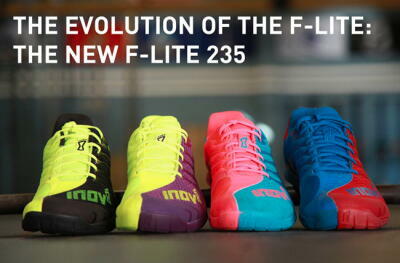 An evolution of the original F-LITE™ series, the F-LITE™ 235 allows an athlete to challenge any workout with more flexibility, durability and versatility. The shoe features a new outsole and upper design. The ultimate fitness shoe for all WODs, the versatile F-LITE™ 235 features 360-degree Rope-Tec™ for burn protection, a 40% denser heel unit for stability, multi-directional outsole flexibility, a seamless toe bumper for burpee protection and increased cushioning. This shoe will surely become a staple for any athlete's cross-training.